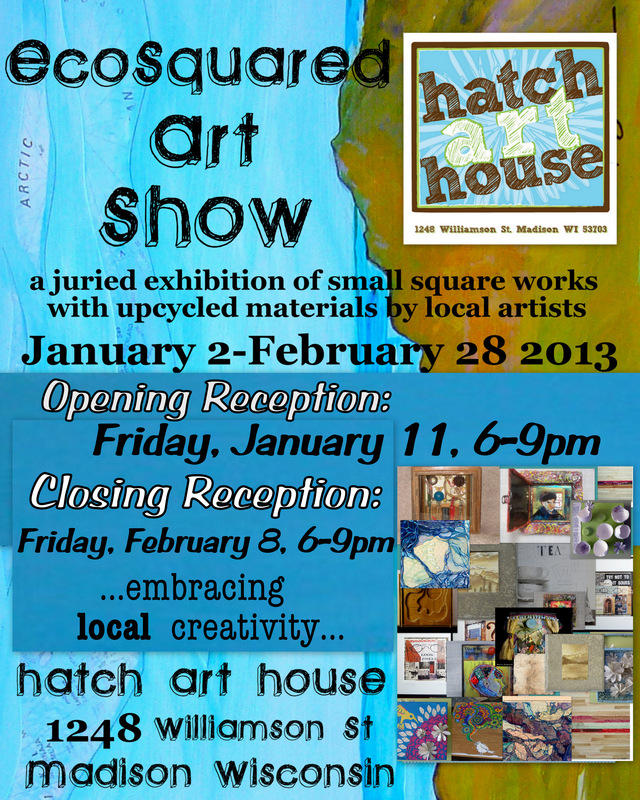 EcoSquared is a SMALL WORKS art show, with an upcycling theme along with affordable pricing. Every piece is under $200 and all artwork is sized between 6″sq. to 12″sq. and of course, incorporates upcycled materials. Thus, EcoSquared. The show will run for the month of January. 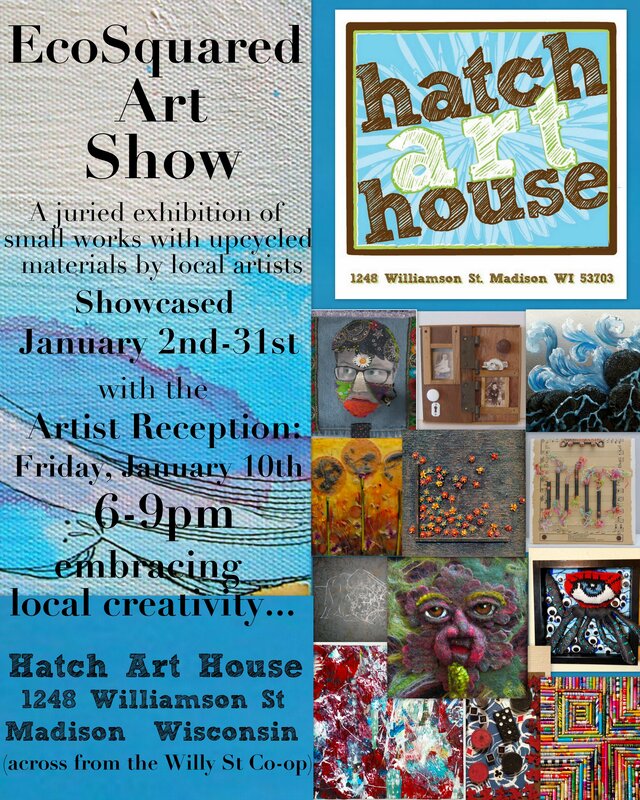 The artist reception will be Friday, January 10th from 6-9pm. Most artists will be in attendance to talk about their work and refreshments will be served. All pieces are available for purchase but we do appreciate pick-up near the end of the show. 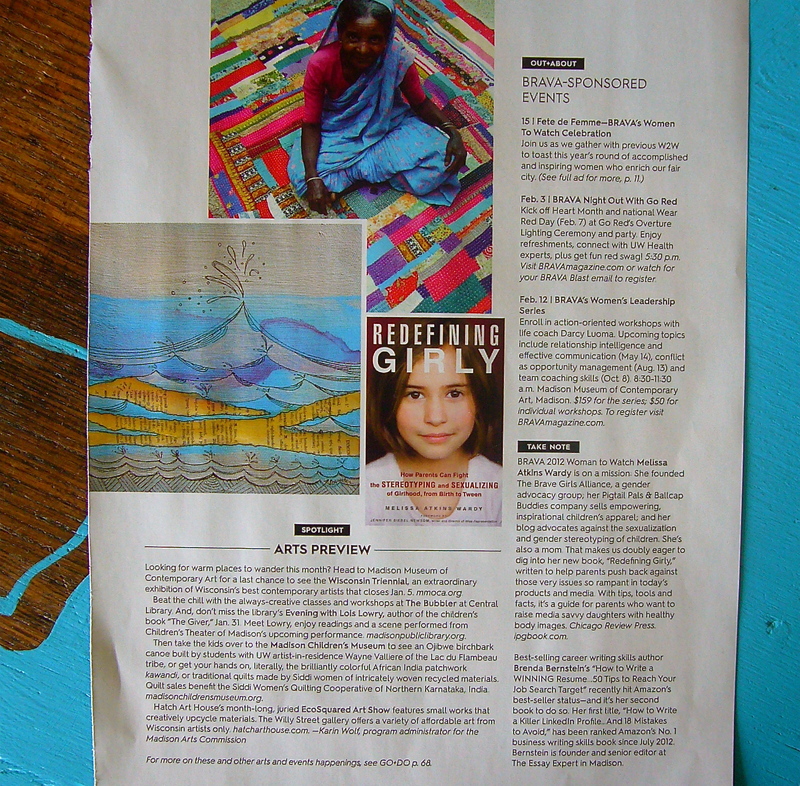 Thanks to Brava Magazine for including EcoSquared in January’s Art Preview! 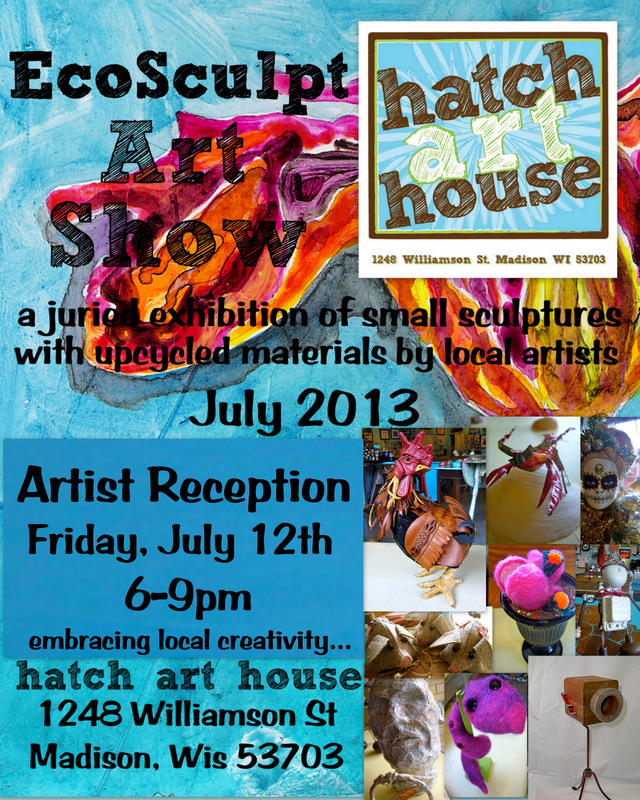 This month at Hatch we are showcasing (our first ever) EcoSculpt Art Show for the entire month of July. 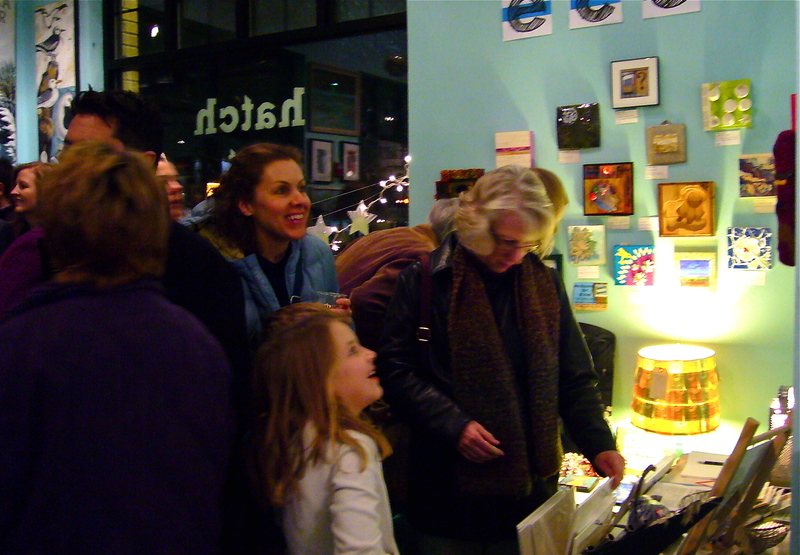 EcoSculpt is a small sculptures art show, with an upcycling theme along with affordable pricing. Every piece is under $200 and all artwork incorporates upcycled materials. 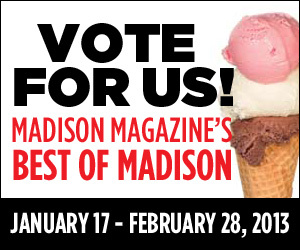 As always, Hatch only represents Wisconsin based artists with the majority from the Madison area. 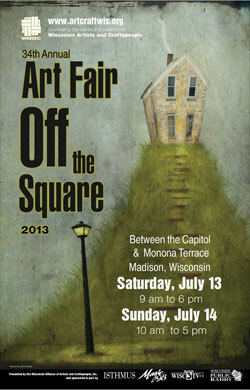 The artist reception will be Friday, July 12th from 6-9pm. 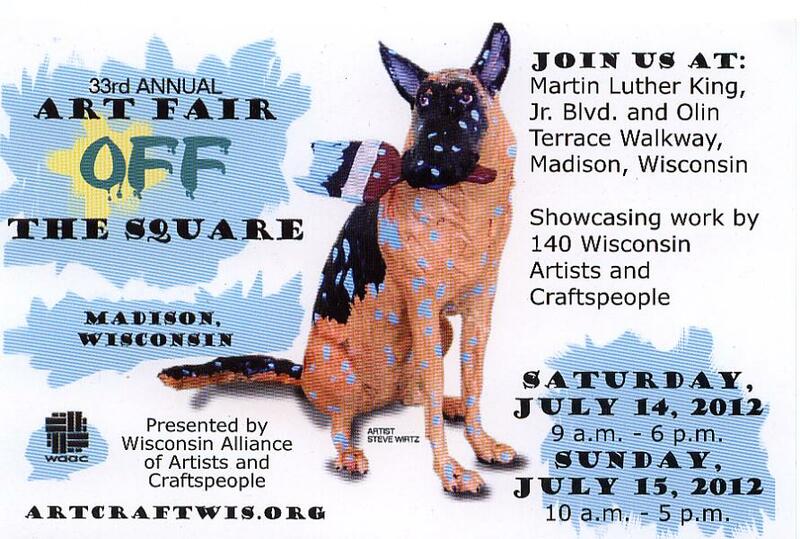 Most artists will be in attendance to talk about their work and refreshments will be served. Keep an eye on our Facebook page for photos of the artwork in the show! 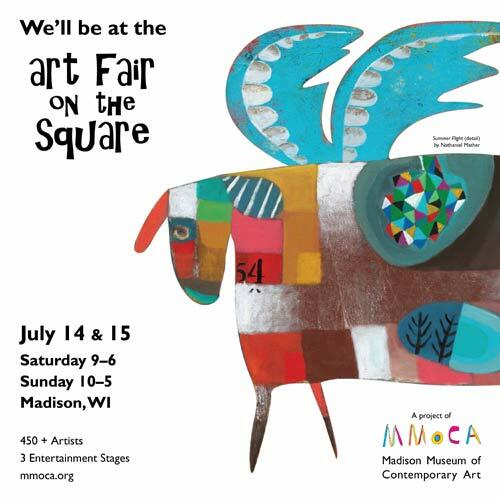 It seems that there are a lot of ‘art happenings’ this weekend! 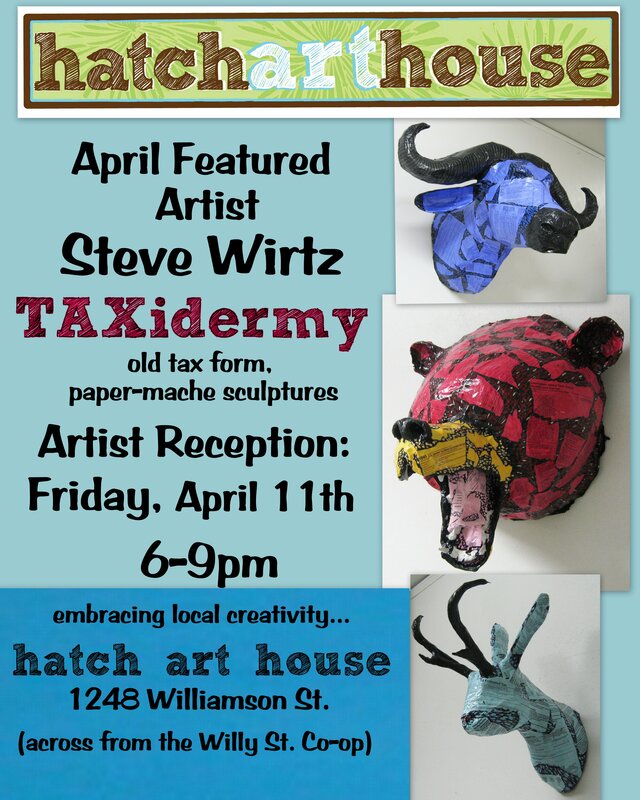 Starting with Friday the 13th here at Hatch! 6-9 is the artist reception for photographer Jeremy Sailing. We’ll have ice cold beer and a special summery cocktail available for you. 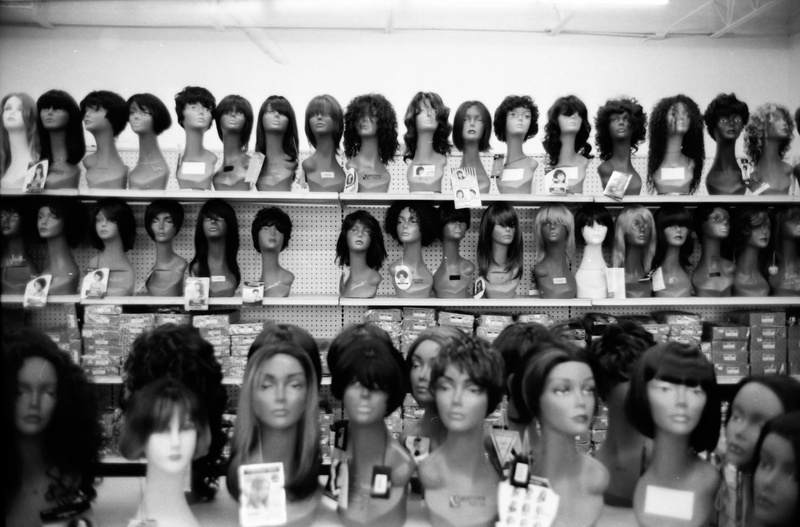 “Wigs” black and white photograph; Jeremy Sailing. 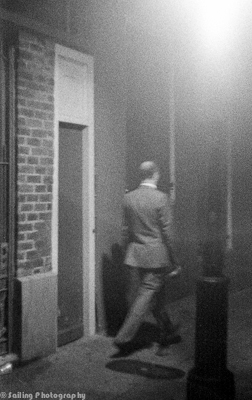 Bourbon Street by Jeremy Sailing. Father’s Day is this Sunday… so it’s time for a few ideas for your pop! Is Dad a comic book lover? 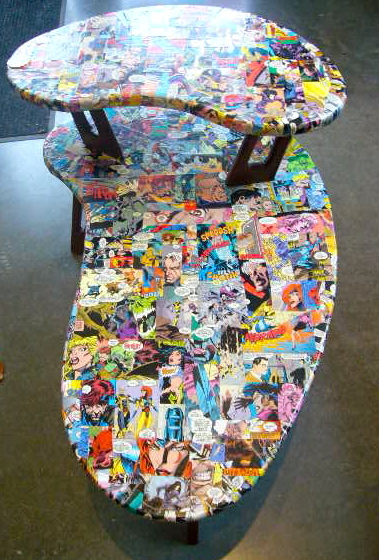 Retro comic book table- made by Beth Heeney of Green Cricket Salvage. 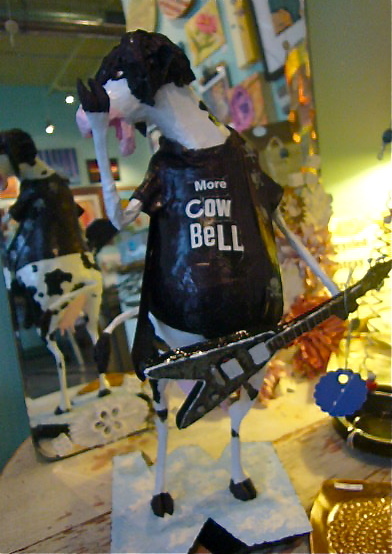 “More Cow Bell!” How can your Dad not love this paper mache sculpture created by Steve Wirtz?! Maybe an original painting of his favorite watering hole? 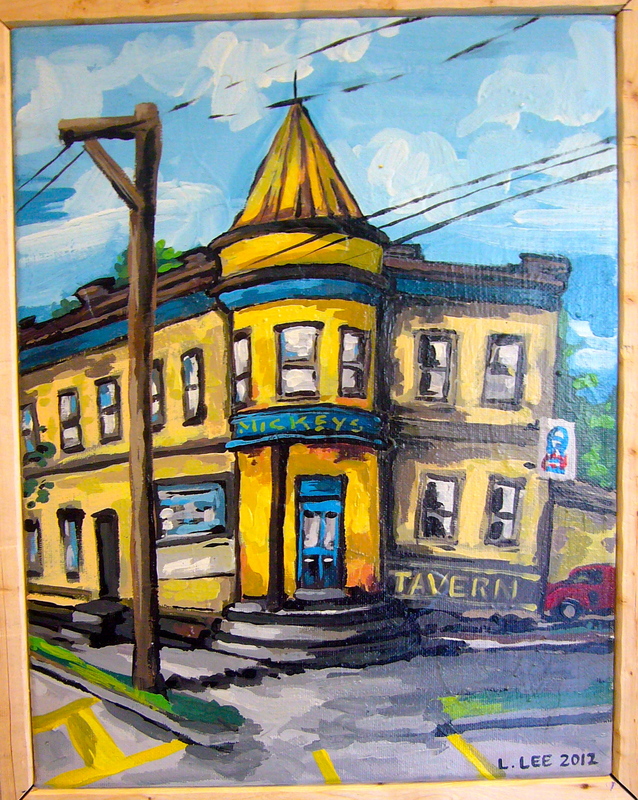 “Mickey’s Tavern” painting by Lynn Lee. Is Dad a bike enthusiast? 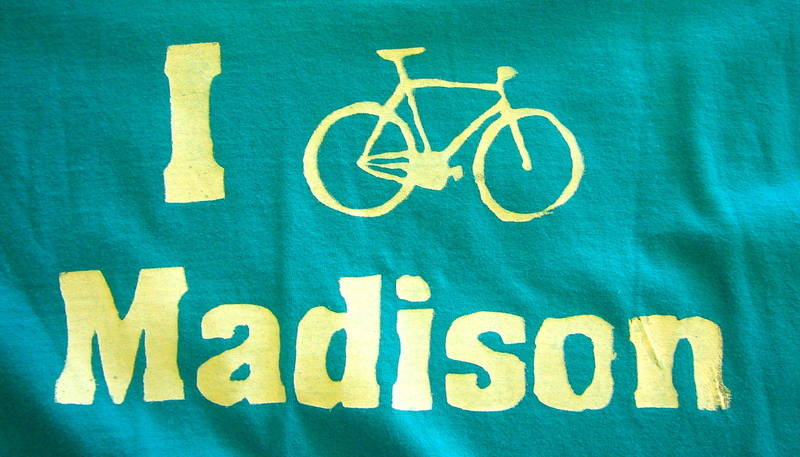 These hand printed t-shirts made by Rosy Hawbaker of Recreative Crafts are perfect! 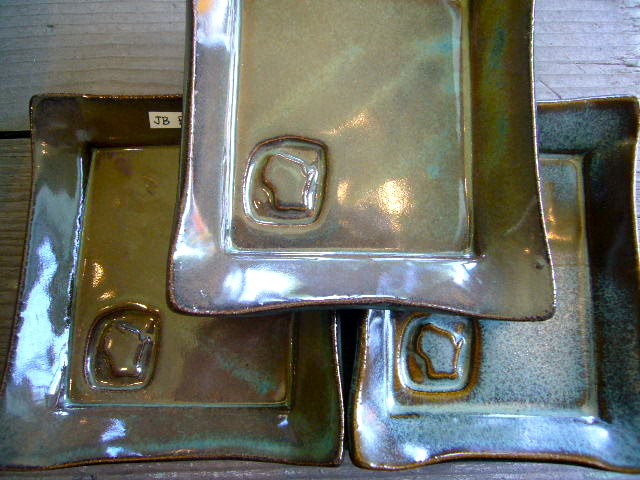 Let Dad show his Wisconsin pride with a ceramic trinket dish perfect for his keys or pocket change. Made by Potter Jenny Blasen.